Dr. Wayne Dyer: Wishes Fulfilled premiered March 2012. 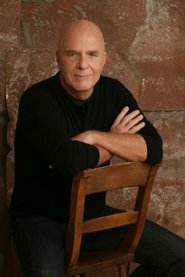 Dr. Wayne Dyer introduces the Five Wishes Fulfilled Foundations. "You manifest what you become as a human being, and this program is about teaching you to become the highest-consciousness Being that you can be." For his ninth PBS special, best-selling author and teacher Dr. Wayne Dyer presents his Five Wishes Fulfilled Foundations: the five steps to living from your "highest self" and thereby attracting your deepest desires. Using his trademark humor, combined with source material drawn from some of the most original American New Thought philosophers of the 20th century, Dr. Dyer outlines a program for mastering the tools necessary for living a profoundly extraordinary life. Viewers learn how to use Imagination, Living from the End, Assuming the Feeling of the Wish Fulfilled, Attention and the Last 5 Minutes of Each Day to create new and astonishing thought patterns, while defeating unproductive and recurring habits. Also appearing with Dr. Dyer is guest Anita Moorjani, a near-death experience survivor, and the program concludes with a very special performance by the San Diego Children's Choir. Wishes Fulfilled, taped in Escondido, California on October 22, 2011, is a five-act lecture based on Dr. Dyer’s forthcoming book "Wishes Fulfilled: Mastering the Art of Manifesting" (set for release in February 2012). His main message is this: that it is possible for every person to live an extraordinary life. What's more, according to Dyer, it is possible for every person to manifest their deepest desires — if they honor their inner divinity, consciously choose to live from their "highest self" and practice the five foundation steps that are outlined in the lecture. As is his practice, Dr. Dyer introduces viewers to provocative and original thinkers, including New Thought philosophers and authors Neville Goddard and Uell S. Andersen. He also cites teachings from the Old and New Testaments, the “I Am” Discourses, and shares poetry from Emily Dickinson, William Blake and others. Special guest Anita Moorjani joins Dr. Dyer on stage in Act 3 of Wishes Fulfilled. Anita is the survivor of a near-death experience and shares her perceptions of the event with Dr. Dyer. The program concludes with a moving performance of "Amazing Grace" by the San Diego Children's Choir. Since his last lecture special (Excuses Begone! ), Dr. Dyer has been diagnosed with chronic lymphocytic leukemia. Today, he is enjoying good health, and he openly discusses his cancer diagnosis in the program. Wishes Fulfilled begins airing on public television stations on March 3, 2012, with a special, national primetime broadcast on March 5, 2012 (check local listings). in association with RealityCheck Media. © Hay House, Inc., in association with RealityCheck Media. All Rights Reserved. Photo courtesy of Charles Bush.